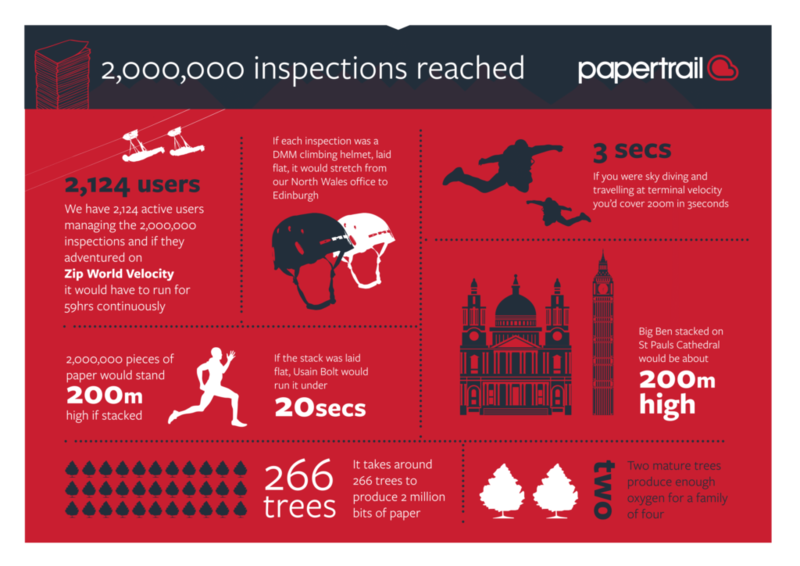 Today we now manage over 2,000,000 inspections on behalf of our customers. This means we are helping people reduce risk, improve compliance, forge better governance processes, reduce effort and therefore cost. At the beginning this was beyond our wildest dreams but we are growing at speed and our team and processes are growing with it. We are working across numerous sectors including Health Services, Renewable Energy, Leisure Attractions, Adventure, Arboriculture, Rope Access and Manufacturers amongst many more. This excites us. It means we are not just helping spread the message about safety but we are also improving the environment with less paper being needed and also helping people be more efficient. We love it when we hear that people can leave work on time and be with their families. We are your business information platform to help manage risk while improving compliance and safety standards. We exist to help with efficiencies, transparency and accountability and we thrive on supporting positive environmental change. Have a look around our website and please do make contact to discuss your organisational needs.